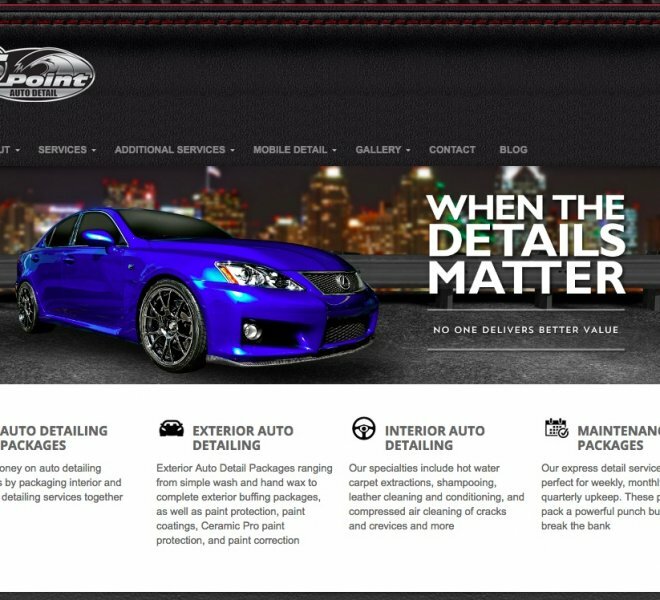 Working with Counterflow Marketing was a serious game changer for 5 Point Auto Spa. Geoff and his team understand digital marketing. They brought us so much new business that we had to open up a second location. These guys do work. advantage of some of our core services, 5 Point Auto Detailing has been able to expand in ways that they could only dream about 10 years ago. Working with 5 Point is the perfect example of what Counterflow can do to help a quality company that is ready to surpass their goals. We worked with them to bring them into the digital age and ensure that they had the ability to reach their customer base. by working with us, their business has quadrupled and we can’t wait to help them grow in the future. 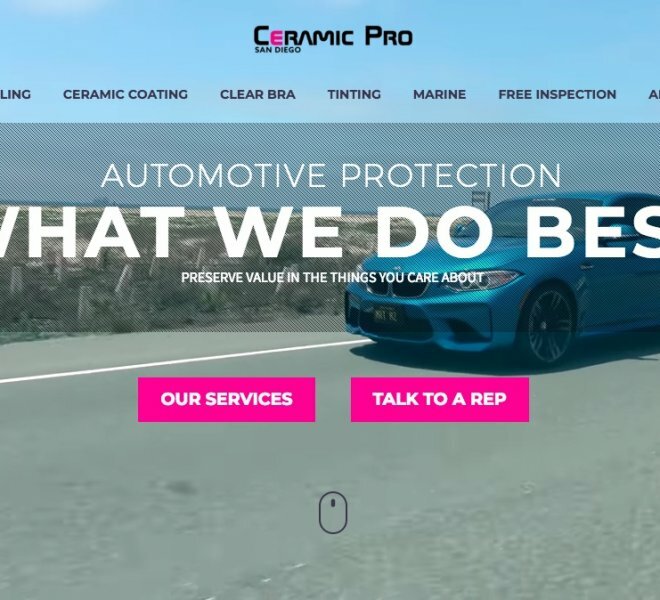 Brand Development – Their original brand was already established as a great service in the amazing city of San Diego, but in the world of car detailing that wasn’t going to be enough. We took the time to get to know their team, their customer and how they work before we revamped their brand. They had a great business and excellent service, we accentuated those aspects and incorporated them into their brand to make sure that their customers saw that first before anything else. We knew that once the customers could find them, and were able to distinguish that 5 Point has a great service, then they would come, and they did. As a part of this transformation, we redesigned their logo and elevated the quality of their marketing presence. With their new brand, they attracted a new customer base which put them on the map in all right ways. Web Development – When we started working with 5 Point they were completely reliant on Yelp to bring in their customer. Along with giving them an online presence we wanted to give them their own autonomy, so they could rely on their name and being searched for customers rather than being found on yelp. They had a website which was standard for 2009 but we wanted to help them stand out. Once they put their website in our hands we redid the entire thing. We took them from a word document website and turned them into the first site to use graphic design in their industry. We completely redid their original website so that it was current and looked inviting to those who were clicking on their site for the first time. The design and functionality were imperative. We know how important it is to make sure that your potential customers can easily navigate your website. We made sure that all their top services were easy to find. When the time came to update their website they entrusted us to do their website again. After almost 10 years we couldn’t wait to get our hands on their website again and keep their brand and site updated. SEO – There are so many competitors out there, in every industry, but especially car detailers. Having good SEO is necessary in order to be noticed when prospective customers are looking up a business. Before we worked on their site they weren’t even on the first couple pages. Customers were passing them by and they didn’t even realize. With designing their website we were able to make sure that their site would have all the tools necessary to have successful SEO. We did the research for the region and made sure that their site was optimized for their area and target customer. 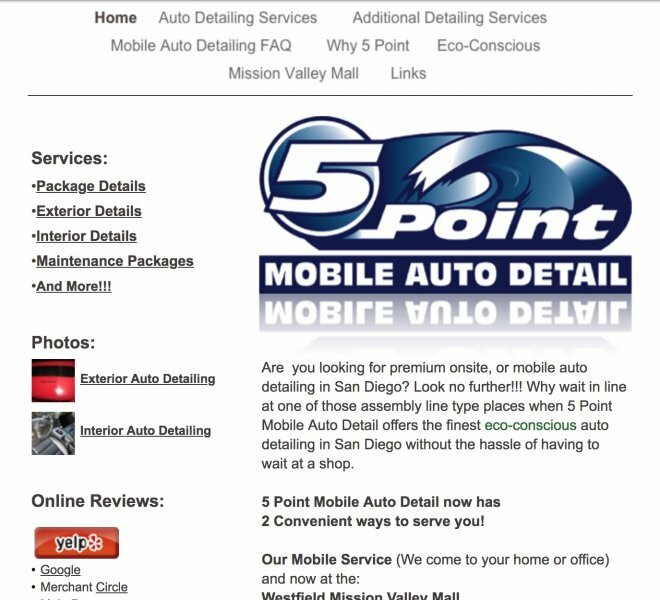 Just with their original site they organically became the first site to appear on google when searching for a detailer in San Diego, and they still are. To help ensure they would consistently be found on search engines we also built out different domains for each site which made them an academic in the topic. In turn, they received way more clicks helped them stay at the top of the page. 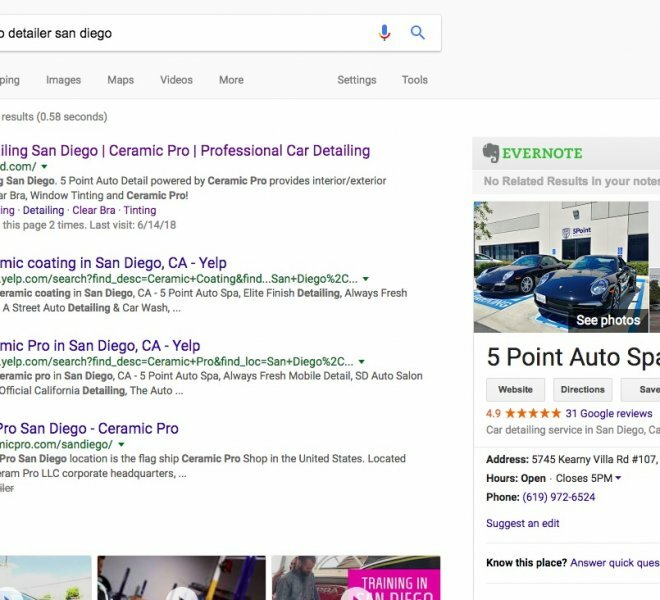 Before we did their SEO they couldn’t be found when searched, we gave them the best SEO San Diego can offer and have kept them there for years. Digital Advertising – The next step that we helped them with and continue to help them with was their digital advertising. Originally, we made sure that they were advertising correctly for their market. While they were doing fine they were ready to make that jump and take on more business. We took advantage of the content that we had shot for them and put together ad campaigns for Facebook, Instagram, and Google. We took the brand that we created and put it on the right platforms to be seen by their ideal customer base. In addition, they helped to beta test our lead generation technology which later turned into the software that constantly generates hundreds of leads every day. At this point, we were able to take their company to the next level and be seen on a regional level which is what really increased their bottom line. Today we continue to manage their advertisements. With our new advertisements and continuous care, we help them make about 15x their ad spend which is a phenomenal return in their industry. Videography – When taking on the task of brand development we knew that part of the project was going to be elevating their quality of content that they were putting out. We also knew that we could help them with that. 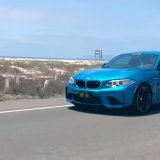 We took video that showcased our two favorite parts of their business, that they have an amazing quality and are in San Diego. Taking some of our favorite shots to date we used this content to step up the quality of their website and advertisements.